Your Committee have been concerned about our Clubhouse vulnerability in such a quiet, poorly lit park. Experience at Shepparton regarding repeated break in and theft have suggested that we have had a lucky track record at WLTC. In seeking better security, we have had a wonderful offer from a great community supporter and good friend of WLTC, Mario Pane of Pinkerton Security. Pinkerton Security has installed a 24/7 monitored security system this year. Essentially this will only affect you if you are the holder of a clubhouse key. We think we have identified all key holders and given them passwords to turn on/off the alarm as they unlock/lock the door. If you have a key and do not have a password, ring or text Secretary, Michael Falkenberg on 0418392906 or go to our website and use the message option on the “Contact us” page. This initiative represents a major change for our members. Those intimidated or unfamiliar with the technology, please ask for assistance. We do not want any barriers to members accessing the courts in their own time. 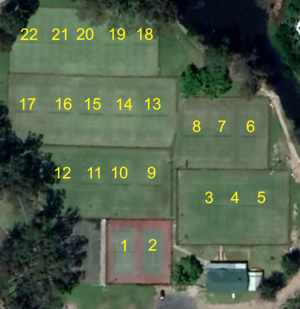 You will notice that unavoidably, we have had to reshuffle numbers on the courts - sorry for the change to tradition! The technology does not affect you if you just turn up for scheduled events like Twilight, Thursday (Mixed and Ladies), Saturday tennis or any other ‘Light Facilitated’ event we hope to offer this year. On these occasions the gate will be open automatically. If you want to play casual tennis with friends, one of the party will need to access Book a Court (BAC). Soon you will receive by email, an invitation to “sign on” to Book a Court – you will then be recognised as a club member (and not charged) when Booking. Those members without a recorded email at WLTC will receive a text - please respond to this text with your email or let us know if you have none. Thereafter, either from computer at home or from your smart phone (at least 10 minutes before booking time) book a court and time, your PIN will open for the gate from 10 minutes before the booking time. Apart from the fact that you have to book on the half hour, this will be otherwise very easy with a saved web address or use the link on our WLTC website. There will be signage on the fence to assist non-members and members. In the daytime, your exact court number choice still remains optional after you are through the gate. Members will play free in daylight, but we ask you to collect green fees ($ as on the hire fee box) from non-members in your party and pay for them, as you have always done. If (as a member) you book a slot when it will be dark (i.e. the lights will be activated), you will have to pay with your credit card (tick a box to remember your details for easy booking on subsequent times). We decided that the light costs will be borne by “user pays” rather than the general membership. Costs are however reasonable – see table at the end. The BAC is encouraged by Tennis Australia as part of our lighting system. It has however several advantages for us, that balance the loss of our casual access by having an electronically locked gate. Firstly, we have realised that since the departure from the Club of the late Bryan Curran, we’ve noticed a dramatic drop in hire fee income from non-members. Many free players are going unchallenged currently. This impacts on the club finances and imposes pressure on membership fees. BAC will alert users that this is a membership club (not RCoW council free facility) that has overheads. BAC can collect the appropriate hire fees electronically for non-member use. Secondly, our Coach and his staff benefit hugely form light options, and we need this activity to feed in tomorrow’s members and users for tennis generally. Thirdly, whilst there will be some money in the hire fee box from non-members paying to play with members, parties of non-members, and members using lights will be paying electronically. This reduces our security exposure. Fourthly, it would be impossible to have ready access to the lights for both members and non-members without a system to turn on the lights (without clubhouse access), as well as quarantining light costs to users only. 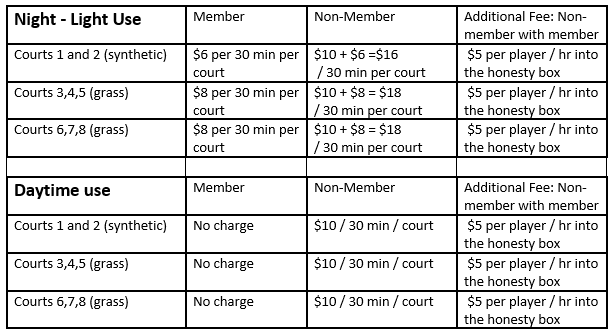 Finally, increasingly there seems to be Tennis Australia, Government and Council grants for improvements to Clubs. We have received assistance with several grants towards: the lights (Tennis Australia, RCoW, Sport and Recreation Victoria) Book a Court (RCoW , pending from Tennis Australia) and Hotshots Court Fencing (RCoW community grants). Initiatives like BAC help us to track participation which is then helpful in future grant applications. With signage and a modest cost structure, increased participation and usage from non-members will be clearly welcomed and tracked – helping our case. 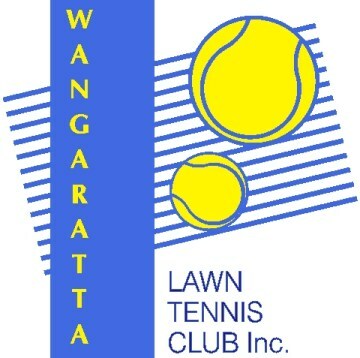 Wangaratta Lawn Tennis Club made a solid appearance at this year's 2016 Country Week tennis in Wodonga. A record five teams represented the club. 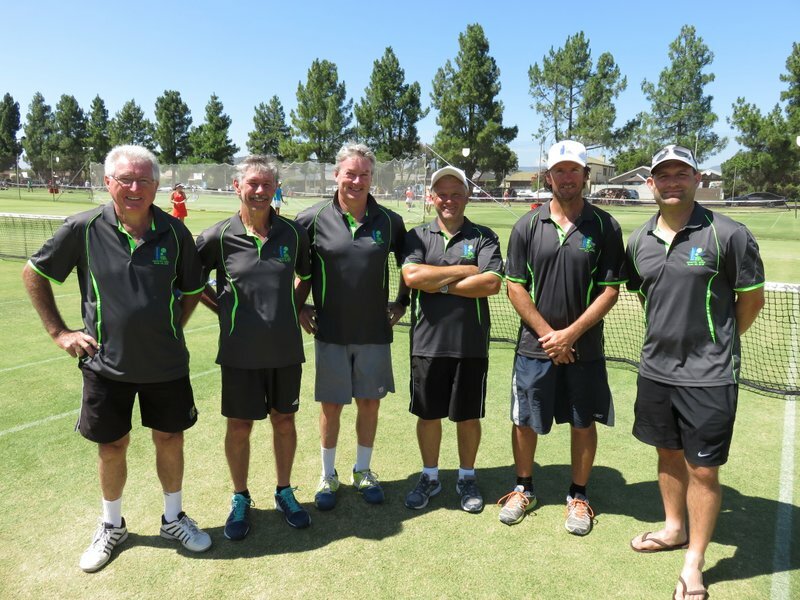 The A grade team, led by Barry Sullivan, knew they would be outclassed at the top level, however, they performed admirably and won one match against the Tennis Vic team. The B1 team, led by Frank Harris, won all bar one match to finish on top of the ladder leading into the finals. Pat Flynn was outstanding in his daily representation. The team won its sem-final but was beaten in the grand final by a well performed Albury unit. The B2 team, led by Vin Warnock and Brett Goodwin, also made it to the grand final. They had every chance to win but folded at the last hurdle. The purple team, in section C1, did well to make the finals, but were eliminated in the semi-final match. The rust team, in section C3, missed out on the final four by only four points. Wang Green: Pat Flynn, Frank Harris, Michael Adorney-Dickson, Mark brown, Matt Curran, Scott Solomo.